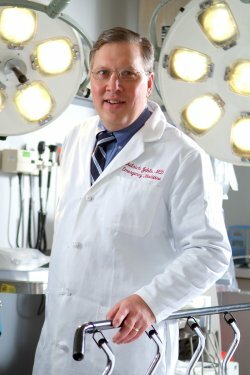 In a study published in the January 2011 issue of the Journal of the American Dietetic Association, researchers from the University of Maryland and five other institutions found that diets favoring "healthier foods" were associated with significantly reduced mortality when compared to diets high in fat and sugar. Their study investigated the associations of dietary patterns with mortality through analysis of the eating patterns of over 2500 adults between the ages of 70 and 79 over a ten-year period. According to lead author Amy L. Anderson, and senior author Nadine R. Sahyoun, both of the Department of Nutrition and Food Science at the University of Maryland, the results of this study suggest that older adults who follow current dietary guidelines to consume relatively high amounts of vegetables, fruit, whole grains, low-fat dairy products, poultry and fish are more likely to have better nutritional status, higher quality of life and better survival than those who do not follow these guidelines. "Surprisingly few studies have investigated the associations of empirical dietary patterns with mortality," said Anderson. "Our study is the first to examine the dietary patterns of a relatively large and diverse U.S. cohort of adults aged 70 and over, and explore associations of these dietary patterns with survival. This study also is unique in that we also evaluated participants' quality of life and their nutritional status through detailed biochemical measures." The researchers note that the leading causes of death have shifted from infectious diseases to chronic, age-related diseases such as cardiovascular disease and cancer. These chronic illnesses can be affected by diet. Research has repeatedly linked excess weight and obesity to chronic, age-related illnesses such as heart disease, type-2 diabetes, certain cancers and stroke, all of which may be influenced by diet. Between 2000 and 2030, the number of adults worldwide aged 65 years and older is projected to more than double from approximately 420 million to 973 million. This study examined the dietary patterns of a large and diverse group of older adults and explored associations of these dietary patterns with survival over a 10-year period. A secondary goal was to evaluate participants' quality of life and nutritional status according to their dietary patterns. To do this, the researchers determined for the study participants the consumption frequency of 108 different food items and then grouped the participants into six different clusters according to their predominant food choices: "Healthy foods" (374 participants); "High-fat dairy products" (332); "Meat, fried foods, and alcohol" (693); "Breakfast cereal" (386); "Refined grains" (458); "Sweets and desserts" (339). The "Healthy foods" cluster was characterized by relatively higher intake of low-fat dairy products, fruit, whole grains, poultry, fish, and vegetables, and by lower consumption of meat, fried foods, sweets, high-calorie drinks, and added fat. The "High fat dairy products" cluster had higher intake of foods such as ice cream, cheese, and 2 percent and whole milk and yogurt, and lower intake of poultry, low-fat dairy products, rice, and pasta. After controlling for gender, age, race, clinical site, education, physical activity, smoking, and total calorie intake, the "High-fat dairy products" cluster had a 40 percent higher risk of mortality than the "Healthy foods" cluster. The "Sweets and desserts" cluster had a 37 percent higher risk. No significant differences in risk of mortality were seen between the "Healthy foods" cluster and the "Breakfast cereal" or "Refined grains" clusters. The study also evaluated participants' quality of life and nutritional status. Quality of life measures were based on self-assessments of health by the participants. Nutritional status was determined through detailed biochemical measures. 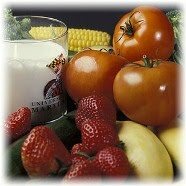 "Because a substantial percentage of older adults in this study followed the "Healthy foods" dietary pattern, adherence to such a diet appears a feasible and realistic recommendation for potentially improved survival and quality of life in the growing older adult population," said Anderson. "Our study supports the current recommendations for healthy eating," said Sahyoun, "and if people see the direct association provided by this study with living longer and having a better quality of life, then maybe more people will recognize the importance of adopting these recommendations, even at older ages, as part of a healthy lifestyle." What led to water on the interior of the Moon or the formation of the Borealis basin that covers 40 percent of the surface of Mars? And what caused at least some of Earth’s tilt — without which there would be no change of seasons? New research from NASA’s Lunar Science Institute points to the same culprit: rocky bodies known as planetesimals that populated the solar system billions of years ago and eventually clumped together to form planets. As the planets and the Moon (which was created by a massive impact between a Mars-sized body and the young Earth) continued to cool several hundred million years after their formation, planetary scientists believe that planetesimals struck them again. Now scientists are one step closer to pinpointing the size of those rocky bodies that hit at the end of planet formation, a process known as accretion. Knowing this detail is important for understanding the evolution of Earth’s surface and interior, and for understanding how Earth developed an environment that encouraged life. As Lindy Elkins-Tanton, the Mitsui Career Development Assistant Professor of Geology in MIT’s Department of Earth, Atmospheric and Planetary Sciences, and researchers from the Southwest Research Institute (SwRI), the University of Maryland and Scripps Institution of Oceanography, suggest in a paper published last week in Science, the last bits of mass delivered by planetesimals to Earth, the Moon and Mars during the final stage of their formation did not consist of lots of tiny bodies, but rather, a handful of massive objects. Based on computer modeling, lead author and SwRI planetary scientist William Bottke, Elkins-Tanton and their colleagues suggest that the largest planetesimal to strike Earth was between 1,500 and 2,000 miles wide (roughly the size of Pluto), the largest for Mars was 900 to 1,100 miles wide (about the distance from Seattle to Southern California) and those that hit the Moon were 150 to 200 miles in diameter (about the distance between Boston and New York). The research may also help solve a longstanding conundrum. Many planetary scientists believe that the Moon formed about 4.5 billion years ago from a giant impact that is thought to have led to the final phase of differentiation on Earth — the process by which denser materials sank to Earth’s interior to form a core and lighter materials formed the outer layers known as a mantle and crust. During this process, elements that are attracted to dense, metallic elements like iron should have followed those metallic elements deep into Earth’s interior. That means there should be no trace of highly siderophile, or metal-loving, elements in Earth’s outer layers. But rocks that have been brought to Earth’s surface by volcanic activity, lunar samples collected during the Apollo missions and chunks of meteorites from Mars are chockfull of highly siderophile elements like gold and iridium. Elkins-Tanton and her colleagues wondered if late-arriving planetesimals were responsible for dumping rocks that contained siderophile elements onto Earth, the Moon and Mars. 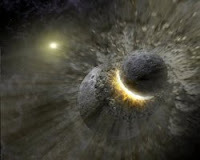 If so, the researchers estimate that the late-arriving planetesimals would have had to deliver at least 0.5 percent of Earth’s mass to Earth’s mantle, and about 10 to 1,200 times less mass to the Martian and lunar mantles, respectively. After running thousands of computer simulations that considered a range of projectile sizes and distributions, the researchers show that it’s possible that planetesimals were large enough to replenish highly siderophile elements to the mantles of Earth, the Moon and Mars. Those projectiles were also capable of modifying Earth’s tilt by 10 degrees, creating basins on the Martian and lunar surfaces, and possibly delivering water to the Moon, according to the paper. Richard Carlson, a researcher at the Carnegie Institution’s Department of Terrestial Magnetism, says that the suggestion that massive planetesimals delivered siderophile elements “fits in reasonably well” with what scientists know about accretion. He thinks that samples taken directly from the Martian crust “would really be the confirming evidence” for the theory. That’s because unlike Earth’s crust, which has been erased through plate tectonics — the process by which rigid plates slowly shift across the underlying mantle — the Martian crust hasn’t changed much since it formed. In future work, Elkins-Tanton hopes to explore more details about the delivery of water on the Moon, which remains a mystery because the water that has been measured in lunar rocks doesn’t support what otherwise appears to be a very dry body, both inside and out. Moderately and morbidly obese persons face many health issues -- heart disease, diabetes, hypertension, stroke, gallbladder disease and others. CLIMBING MOUNT EVEREST: NOBLE ADVENTURE OR SELFISH PURSUIT? Adventure seekers are plunking down more than $50,000 to climb Mount Everest, but a new study in the Journal of Consumer Research finds that people who pay for transformative experiences often lack the communitarian spirit that usually defines such activities. "In order to escape the rules, contraptions, and stresses of daily life in the city, many people search for new and liberating experiences that transcend their normal bureaucratic and corporate existence," write authors Gülnur Tumbat (San Francisco State University) and Russell W. Belk (York University). However, it seems that competition and conflict rear their heads even on romanticized adventures like climbing to the top of the world. The authors conducted an ethnographic study of commercialized climbing expeditions on Everest, which focused on paying clients. "Although we were initially guided by the expectation of more of a communitarian spirit, we came to realize that consumer behavior scholars had failed to appreciate and understand the competitive, individualistic, and status-seeking aspects of such activities," the authors write. The research discovered a tendency for paying climbers to jostle for position rather than cooperating in a communal atmosphere. "What they have is a forced companionship for many, far from any real spirit of community," the authors write. "Money versus personal skill and experience compete as climbers argue that they deserve to summit the mountain while others there do not." The authors found that climbers were focused on their individual accomplishments and with proclaiming unique positions (for example, being the first British woman to climb Everest). "What we found in the context of Mount Everest is individualism, competitiveness, contradiction, and power-seeking through extreme experiences purchased from what is now known as the experience economy," the authors write. "Our study finds that extraordinary experiences, when bought in the marketplace, can be destructive of feelings of camaraderie and reinforce an individualistic and competitive ethos that I, the climber, am the only one who matters," the authors conclude. Two arms, three cameras, finger-tip sensitivity and a variety of facial expressions – these are the distinguishing features of the pi4-workerbot. Similar in size to a human being, it can be employed at any modern workstation in an industrial manufacturing environment. Its purpose is to help keep European production competitive. Picture the following: With great care, a robot picks up a gear wheel in one hand, a housing in the other, and places the two together. When they don’t immediately engage, it breaks off its movement. Slowly, it twists the gear wheel round a little and tries again. This time the wheel slots easily into its mounting. The robot smiles, and places the correctly assembled part on the conveyor belt. 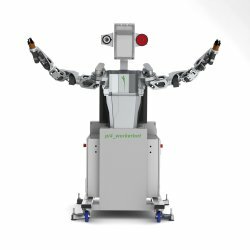 The pi4-workerbot is capable of making many more movements than a normal robot and is the jewel in the crown of the EU-funded PISA research project, which aims to introduce greater flexibility into industrial mass production by using robots in assembly processes. All manufacturers operating in Germany need technology that can be adapted for and cope with a variety of product versions and fluctuating volumes. And because workforce requirements also change in line with orders on company books, the idea is that manufacturers should even be able to lease these robots as and when necessary. Dr.-Ing. Dragoljub Surdilovic, head of the working group at the Fraunhofer Institute for Production Systems and Design Technology IPK in Berlin, says: “We developed the workerbot to be roughly the same size as a human being.” Which means it can be employed at any modern standing or sitting workstation in an industrial manufacturing environment. The robot is equipped with three cameras. A state-of-the-art 3D camera in its forehead captures its general surroundings, while the two others are used for inspection purposes. The workerbot can perform a wide range of tasks. Matthias Krinke, Managing Director of pi4-Robotics, the company that is bringing the workerbot onto the market, explains: “It can measure objects or inspect a variety of surfaces.” To give an example, the robot can identify whether or not the chromium coating on a workpiece has been perfectly applied by studying how light reflects off the material. Krinke adds: “If you use two different cameras, it can inspect one aspect with its left eye, and another with its right.” Moreover, the workerbot is also capable of inspecting components over a continuous 24-hour period – an important advantage when precision is of the utmost importance, such as in the field of medical technology, where a defective part can, in the worst case scenario, endanger human life. The researchers also endowed the robot with finger-tip sensitivity. “If you set the strength of the grip correctly, it will take hold of an egg without cracking it,” says Surdilovic. And it even has a variety of facial expressions. If its work is going smoothly, it will smile happily. If it looks bored, it’s waiting for work, and the production manager knows the production process can be speeded up. Running and swimming records are broken again and again at almost every international athletics event. But, can human performance continue to improve indefinitely? Will runners continue to accelerate off the starting blocks and reach the finish line in faster and faster times? Will swimmers always be able to dive into the record books with a quicker kick? Of course, US swimmer, Michael Phelps famously proclaimed that, "You can't put a limit on anything. The more you dream, the farther you get." Phelps has set around 40 world records. Sprinter Usain Bolt of Jamaica, similarly shaves split seconds from his 100-metre time almost every time he runs. Countless researchers have previously suggested that humans have a performance limit, Bolt's 9.58 second 100m shattered the previous theoretical running speed limit of 9.60s suggested 40 years ago.